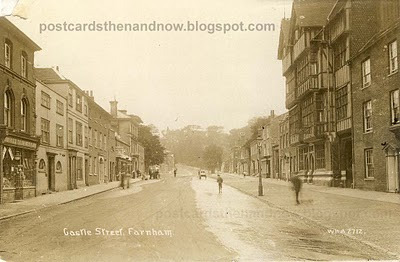 Farnham, Surrey, Castle Street. The large building on the right has gone. Postcard published by W. H. Applebee in about 1913.